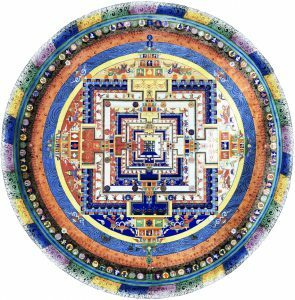 The enlightened mandala of Kalachakra describing the pure nature of all phenomena. Each class consists of reciting the “The Divine Ladder” in Tibetan, followed by extensive meditation. Topics discussed are drawn from Khentrul Rinpoché’s book “Unveiling Your Sacred Truth, Book Three: The Enlightened Reality”. This class is mainly for students who have developed a vajrayana relationship with Khentrul Rinpoché as their master. If you are interested in participating in this class, please contact the event host to determine if it is right for you.